By now, everyone uses cloud storage. Whether you knowingly download a program (Dropbox) to sync certain files you deem important, or unknowingly have and use files that are in the cloud (Google Drive), cloud storage is a part of our everyday life. In a quest to find cloud storage the suits my specific needs, I am compiling a list of the advantages and disadvantages to various cloud storage as seen in the beginning of 2013. Have some sort of desktop client that automates syncing. Cross platform compatible. For me Linux and Android clients are essential. Have a free storage amount that is actually useful. Ability to share files with others. I have come to the conclusion that cloud storage no longer needs to be a "one size fits all" solution, but rather we can choose different services to fulfill different needs. I will share what I think each different service is useful for. Dropbox is probably the could storage company responsible for the hundreds of current spin-offs. It has been around for a long while. Has been around for a long while. Stable. It just works. Makes sharing with others simple. Will automatically upload photos you take with your phone. Starts out at only 2GB. At the time Dropbox started, 2GB was quite respectable; now it is almost laughable. Storage can however be increased for free. Dropbox can be used for files you currently work with. Ongoing projects or collaboration projects with others. Downloading files easily to your phone. Backing up photos automatically from your phone. SugarSync aims to be a Dropbox replacement but with some more features. It does not offer more storage than Dropbox, so the features are the main reason to use it over Dropbox. I really like SugarSync but they offer no client yet for Linux so it is quite useless to me for most functions. Automatically upload pictures you take with your phone. Fantastic syncing for the phone. You can specify files or folders on your phone to sync. Push sync to your phone. Add files on your desktop that automatically show up on your phone (as far as I know, very few other cloud storage services do this). No desktop client for Linux. SugarSync is good to use with your phone. Auto upload, move files to your phone etc. Mega is new. Very new. Like.... this week new. It seems to be designed so that it is secure (translation: illegal files cannot be traced back to the owners of the website). And offers an exuberant amount of storage space. Initial offering is 50GB of free storage. Does not really work well (yet? I tried backing up my 49GB worth of images and it did absolutely nothing. So far the only thing I have been able to do is create a new folder). Too new to have the kinks worked out. Upload files that you probably don't use too frequently, but are important enough that you want to keep backed up. I.E. media files such as images, audio, or video files. Old documents you don't use but don't want to delete. The only reason I know about Yunio is because Dropbox was not working for me here in China. Turns out a lot of websites and programs don't work well in China. Because of this, I eventually stumbled upon Yunio. It is a cloud storage startup here in China. The fact that this works better for me than other cloud storage programs, likely has to do with the fact that is it not blocked here. That issue aside, it is still very good cloud storage. Cross platform compatible for all major platforms including Linux. 5GB storage space is easily expandable to 10GB or more for free. Creating shared folders is quite easy. Sharing files is as easy as sending a link. Link can also be embedded on other websites to have streaming video and audio. You might not get a lot of support help unless you are fluent in Chinese. Will not automatically upload photos you take on your phone. This is good for all around cloud storage. Use this where you would Dropbox (but with more storage space). Though Google Drive is what Google touts as their cloud storage solution, realistically, just about every service you use from Google is some sort of cloud storage. I sold my soul to Google a long time ago and have most of the digital files I deem important backed up on their servers. 5GB starting storage (but no easy way to increase without paying. To be fair though, if you include the storage Google gives you for Google Music and Google images and Gmail etc, it is much much more than just 5GB). Backed by one of the biggest companies in the world. Your files probably are not going anywhere any time soon. http://music.google.com allows you to upload 20,000 songs for free. https://picasaweb.google.com gives you 5GB of storage space for your photos. Apparently photos smaller than 1200px don't count against storage space though. Photos can be synced automatically through your Google Plus account. No Linux desktop client yet. Syncing Google docs to your desktop does not actually sync .doc or .odt to your desktop, so syncing them to your desktop is almost worthless since (unless you have offline enabled) you will not be able to open the files anyhow without being connected to the internet. Photos are synced only through Google Plus and don't show up on your desktop... they remain on the cloud. 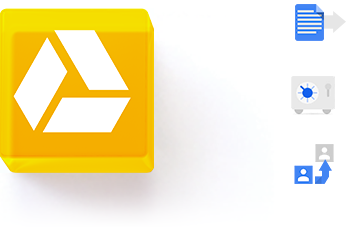 I have always loved Google Drive (Google Docs) for creating, editing and sharing documents online. Even though China blocks this for me, using my proxy, I can still enjoy this feature. Uploading your music collection is a good idea. Better yet that you can play it on your phone. Sharing your photos if you have a Google Plus or Blogger account is seamlessly simple (not so much so for Facebook unfortunately). Like Mega, MediaFire is cloud storage that offers a useful 50GB. Unfortunately the service has been as useful for me as Mega is. Cross platform compatible including Linux and mobile phone. 50GB or storage space makes it useful to backup media. Desktop client does not actually seem to work. Cannot automatically upload photos you take using your phone. Sadly I have not been able to get the desktop client to work for me. Has been useless for this reason. Box shares a name similar to Dropbox, and indeed tries to be a similar service. They tent to market more toward businesses. No automatic photo uploads from your phone. Box had me intrigued when they offered to increase storage to 50GB just by installing the Android app. Unfortunately, I have not been able to use that storage space because there is no desktop client for me. Sadly because it offers no desktop client for Linux and no features I can't find elsewhere, my Box account has just been gathering dust. For some reason I feel like 4shared is the little brother to MediaFire. Perhaps because the both offer great ways of sharing large files with others. 4shared offers only 15GB rather than the 50GB MediaFire offers. 15GB of storage space is more than most. Focuses on sharing and makes sharing media very easy. Has cross platform desktop client and mobile app. Like MediaFire, the desktop client in Linux has never worked for me. Automatic uploading of the image files seems to be slower and buggier than other clients such as SugarSync or Dropbox. Uploading and sharing media files. It would offer sufficient storage (at least 5GB) and work well in China. It would have a Linux Desktop client, and would automatically upload pictures I take from my phone. I would be able to share and collaborate with others. I would also want to upload and stream my music and create and edit documents. I use Yunio for backing up the files I frequently use. I also use it to collaborate and share files with my coworkers. I use Dropbox to automatically backup the photos from my phone and have them go to my desktop. I use 4shared for a backup (because of the extra storage capacity). I use Google for creating my documents and uploading my music. What did I miss? Tell me in the comments. Thanks for pointing out the pros and cons of each service. I have accounts with a few of these, following what’s better to use for sharing and which is more apt for storage. It also makes me feel more secure that my more important files are separate from files that I share to avoid corruption, or worse, info theft.